THE FAIRY TALE COURTSHIP DID NOT TURN INTO A HAPPILY-EVER-AFTER ...Not until her husband dropped dead, that is. He had been horrible enough to Christiana during their short marriage, and she was not going to allow the traditional period of mourning to ruin her sisters' debuts as well. So she decides to put him on ice and go on as if nothing's happened ...Until the real earl appears. Richard Fairgrave had every intention of confronting his villainous twin who had robbed him of his name and title ... only to discover that he had died. Quietly assuming his identity, Richard must now deal with a maddening desire for his ravishing inherited wife --- certainly a gold digger and possibly a murderess. And Christiana must deal with an unwanted new husband ... and they both must figure out what to do before the ice melts. 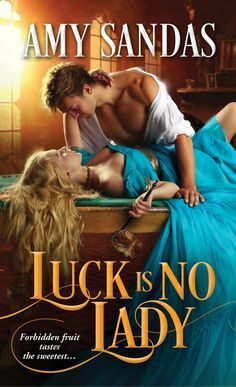 Christiana, because of a gambling debt from her father, was forced to marry, a man that she once fell in love with and found charming and irresistable, however the minute he put his ring on her finger, everything about him changed. He was no longer the man she once knew, but someone that for a year, emotionally abused her, and Christiana desperate to escape but has no idea on how to go about it. Then her husband falls dead, and so as a temporary measure to escape a scandal until she can get her sisters married, she hides him away and puts him on ice..literally. But then that evening at ball, she comes face to face with a furious looking man that resembles her husband most strongly, and she is in shock…that after being dead has come back alive. Richard Fairgrave is the real Earl, but his twin brother had him almost killed, and has just returned to face his villionious brother, George, who has taken his own title away from him. But then he finds out that his brother is dead, and has married, and decides to act as the real Earl. However the one person he didn’t expect to come in his way, was Christiana, who is reluctant to believe that this is the new Earl, who has suddenly reformed, but a sensual passion begins to climb between them, but the truth is bound to come out, and when it does will Christiana wants to remain with Richard and take a leap of faith on the love she is starting to feel for him. Richard, even though a twin, is very different from his brother George. Unsuspecting George tries to have him killed, but Richard ends up in America instead, and when he finally manages to make his way back to England, he is determined to confront his brother and get everything back that was lost to him. When he finds out that George is dead, and has left a wife behind, he decides not to go to the authorities and claim Christiana as his own, and even though circumstances aren’t ideal Richard is genuine in his desire to create a future with her. Christiana, has suffered a year of hell with her husband, but now that he has died, she knows that she must protect her sisters, and so they come up with a plan, to just put him on ice until she finds husbands for her sisters, before scandal ruins their chances of finding a good match. However, when the true Richard reveals himself, she is hesistant to trust another man with her body and her heart, for she doesn’t want to get hurt again. But as she starts to realize how different Richard is from George, she starts to fall hopelessly in love with him. The Countess is the first in the Madison Sisters series by Lynsay Sands. I have loved her vampire series, and I have enjoyed a few of her historical, and the minute that I saw this book in the store, I knew I had to buy it, for the cover and blurb sold me, and I don’t regret it. I don’t get the chance to buy many books because of my budget, but I decided it was time to treat myself, and The Countess is definitely going to be a re read for sure. From the first page I fell in love with Christiana, she had such a vibrant personality and I couldn’t help but be drawn to her. I also loved the interaction between Christiana and Richard, there were so many times that I laughed especially at the beginning, with the way these two circled each other, it was very entertaining to say the least. The Countess overall was a enjoyable read, with a perfect mix of chemistry and a bit of a mystery, that kept this reader on the edge of her seat. I truly fell in love with Richard and Christiana, and looking forward to reading the next book in the series. I hope its just as a enjoyable ride as the Countess has been!! However, at the moment he was eyeing her with a concern she had never seen before and it seemed to increase his attractiveness tenfold, making him darned near irresistible. “If you continue to look at me like that I may be tempted to kiss you,” he said in a husky voice.